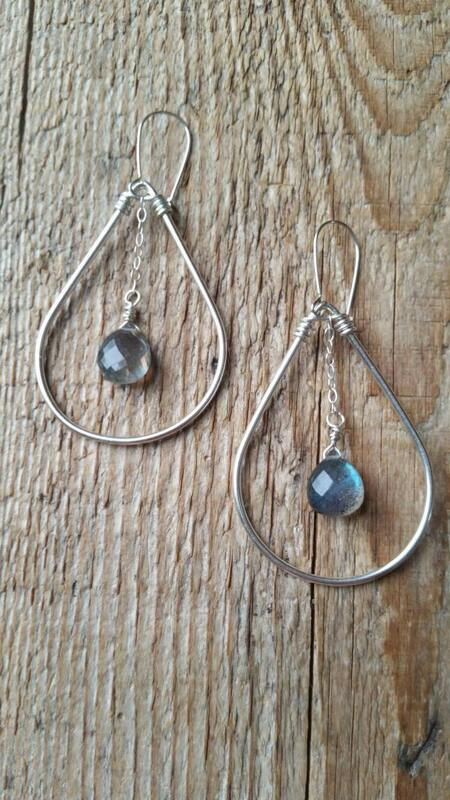 Sterling silver filled teardrop shape with the most beautiful flashy labradorite beads. Length is about 2" including the ear wires. 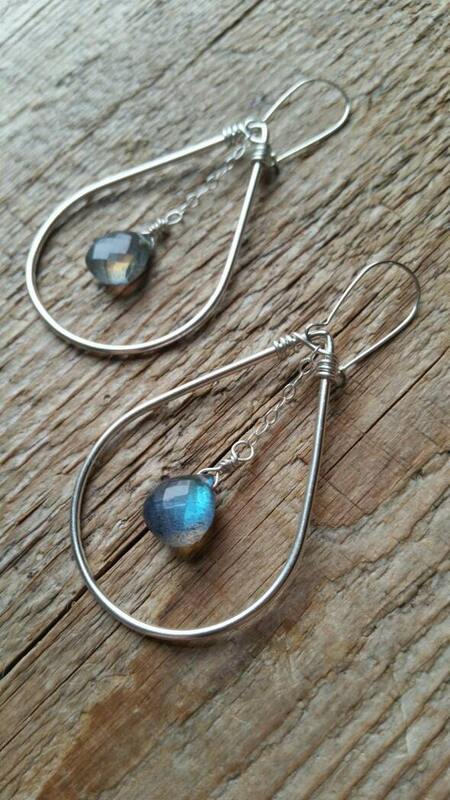 Sterling silver wire, chain and ear wires.